Welcome to the award-winning website for the Franklin County Genealogical Society in Mt. Vernon, Texas. The Society was founded in 1997. The Society was formed to aid those persons researching their families who had lived in Franklin County, Texas. As the Society has continued to grow, its members and volunteers can do research worldwide; this website's objective is to extend the Society's mission to an online, global audience. 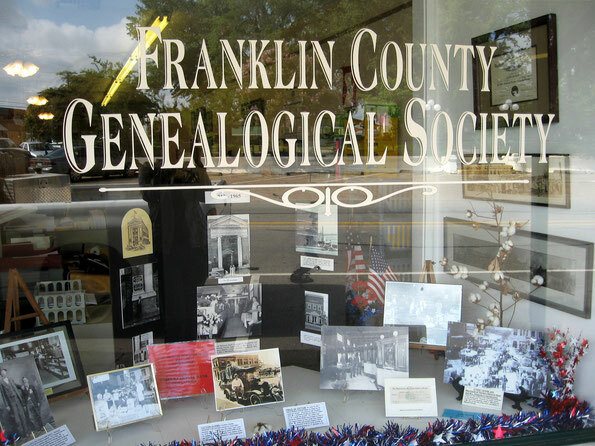 Please explore our website for more information about the Society, as well as Franklin County and genealogical resources. The Crescent Club was formed October 7, 2015, by the FCGS Board of Directors, to raise funds for the renovation of the adjacent building on Main Street to expand its facilities and to better serve the community. You can read more about the Society's Crescent Club here. The quickest way to get Society news and updates is through our Facebook page! Below, you can scroll through our latest posts. Also, if you have a Facebook account of your own, simply click the "Like" button to follow us on Facebook and get updates sent directly to your personal Facebook news feed.